Alvaro Palacios is not exactly a new face in the wine scene – Alvaro has helped revolutionise the Spanish wine industry by making rich, complex wines in Priorat. 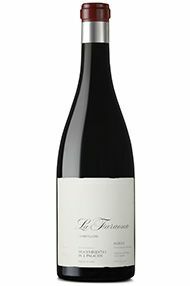 His first wine there, 1995 L’Ermita, gained him recognition as one of the world's most inspired and dedicated winemakers (Alvaro produces two other compelling Priorat wines Finca Dofí and Les Terrasses). 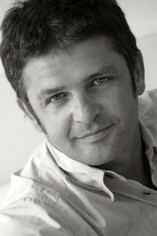 He continued to make waves with his involvement in other Spanish appellations, such as Ribera del Duero and Rioja. Palacios comes from the large and esteemed Rioja winemaking family of Bodegas Palacios Remondo. In his early 20s Alvaro Palacios interned in Bordeaux at the side of Christian Moueix, the celebrated winemaker of Pomerol châteaus of Pétrus and Trotanoy. Upon his return to Spain he originally decided against getting involved in the family business and instead he pursued his own ventures where he would have the freedom to make distinctive, top-quality wines. His success in Priorat inspired him to search again for something new, this time putting his faith in the potential of Bierzo. Bierzo's principal grape is the obscure, indigenous red variety Mencía. While Bierzo is a relatively new wine appellation (a Denominación de Origen since 1989), it has a wealth of very old vines, planted on extremely steep hillsides, and in this respect it much resembles the Priorat region. Palacios with his nephew Ricardo Perez (who also spent time in Bordeaux) established Descendientes de J. Palacios in 1998 in the village of Villafranca del Bierzo. They named the estate in honour of Alvaro's father who passed away in 2000. 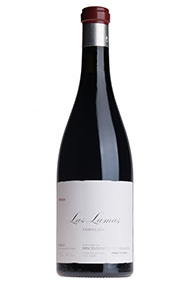 Bierzo Corullón comes from 3 vineyards with vines from 60 to 100 years old. It is a vivid and unique, a red wine that marries rustic flavours with modern polish. 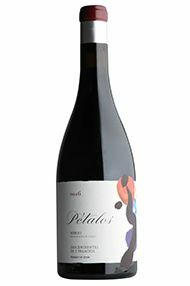 Petalos, the latest triumph from Alvaro Palacios, comes from 60 year-old vines and farmed biodynamically, is an intense wine that mingles beautifully wild plum, smoke and spice flavours. Las Lamas is farmed at very low yields (15 hl/hr) some at an altitude of over 700 metres. This wine is the sine qua non of Alvaro Palacio’s adventure in Bierzo.